Hopkinton, Mass (December 15, 2015) – Content Raven, the leader in global secure content engagement today announced a 3x increase in revenue year-over-year, from 2014 to 2015. The growth is fueled by a strong increase in new enterprise customers of its secure content engagement solutions for sales, training and media and intellectual property creation. Nauta Capital and MassVentures responded to this increased market interest in Content Raven with new investments in the company. Content Raven will use the funding to rapidly scale its sales and marketing efforts. “Every enterprise struggles to securely deliver up-to-date content and video around the globe, to any device. 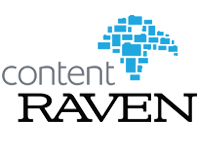 Content Raven’s Cloud-based solution solves that challenge universally,” said Joe Moriarty, CEO of Content Raven. “Sales, training and entertainment & media departments in particular create large amounts of high-value content and have a specific need to share it easily and securely. More than 75% of our customer growth has come from these targeted solutions, and we have just skimmed the market opportunity there. We are excited that Nauta Capital and MassVentures recognized our successes and provided us with capital to more aggressively target these markets. Sales executives better manage their pipeline because they know who opens and views which content; securely share proposals to keep them out of competitors’ hands; and track contracts as they await signatures. Corporate trainers can measure engagement, manage access and eliminate print costs by efficiently disseminating information globally to any device, with tight integration to existing LMS solutions. Creatives and producers at entertainment and media companies can effectively collaborate on securely protected and watermarked scripts, contracts and raw footage, reducing risk of leaks and piracy. Content Raven’s global, secure content engagement solution empowers enterprise sales, marketing, media production and corporate training organizations to safely deliver video, documents, and other content to any device, anywhere. The company’s cloud-based solution helps organizations manage, track, and analyze user engagement with content. Content Raven’s customers are some of the largest companies in the world, including, EMC, Mondelez International, and VMWare. The company is recognized as a SBANE Innovation Award – Rising Star – 2014, and is on the Red Herring Top 100 North America Tech Startups List. The company is headquartered in Hopkinton, MA. Nauta Capital is a Venture Capital firm investing in early stage technology companies. Main areas of interest include B2B Software propositions, disruptive Digital Media companies, and enabling technologies for Mobile and the Internet. Nauta has $260 million under management and invests in Western Europe and the USA. Nauta has presence in London (UK), Boston, MA (USA), and Barcelona (Spain). Nauta has led investments in 30+ companies including Scytl, Eyeview Digital, GreatCall, Brandwatch, Fizzback, Rifiniti, InCrowd, Channelsight, Getapp, ForceManager, Marfeel, Privalia and Social Point. MassVentures is a venture capital firm focused on fueling the Massachusetts innovation economy by funding early-stage, high-growth Massachusetts startups as they move from concept to commercialization. MassVentures focuses on Series A investments and considers occasional and opportunistic seed rounds. For more information, please visit http://www.mass-ventures.com.